The leader of the Liberal Democratic Party Vladimir Zhirinovsky wants to combine Russia’s secret services and oust the US from the UN Security Council. 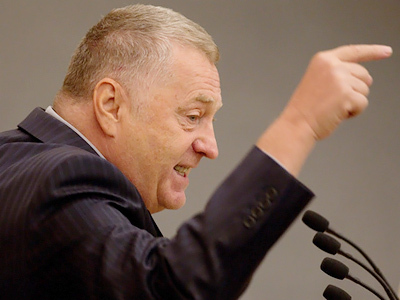 ­Zhirinovsky has become the first leader of the parties represented in the State Duma to announce a political platform for the December parliamentary elections. As the Liberal Democratic Party of Russia (LDPR) has always paid special attention to external threats, the Liberal Democrats have suggested that the Foreign Intelligence Service (SVR) and the Federal Security Service should be combined into a united body. It could become the “federal center of intelligence and operative work,” Zhirinovsky said at a new conference on Thursday. The party’s manifesto contains a clause regarding the merger of the secret services. The LDPR has also suggested that the US should be ousted from the United Nations Security Council. 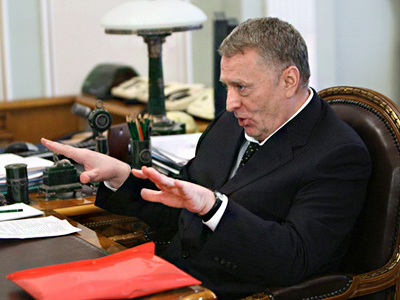 The emission of the dollar by the US Federal Reserve System must be put under international control, Zhirinovsky said. He noted that Russia and Europe should work together on the united missile defense system without Washington’s participation. On the internal front, the Liberal Democrats want to abolish all national republics and restore a unitary state consisting of 10-12 regions instead of the 83 that exist now. The LDPR wants to adopt a special law providing for state support of Slavic Russians. The party will be working to limit the term of office for any official in the country to two terms, or a total of 10 years. 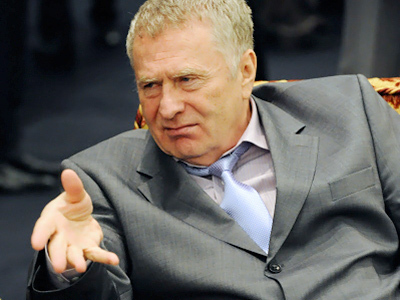 Among the main economic tasks Zhirinovsky listed is the need to expand the state monopoly, which includes the export of energy resources, to internal trade in alcohol, tobacco and sugar. He believes the party’s past experience and new proposals will help the LDPR get at least a third of the vote during the parliamentary elections in December. Zhirinovsky will head the party’s lists of candidates in the elections to the State Duma and all the regional parliaments. 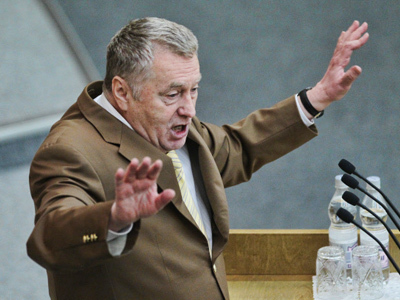 As the post of the speaker of the Federation Council, the upper house of the parliament, is now vacant, Zhirinovsky suggested it should be occupied by a neutral figure from the opposition rather than a representative of the ruling United Russia party. In this case, the country will develop, he explained. But the politician reiterated his position that the upper house is an unnecessary body, saying Russia should not copy western models of democracy. 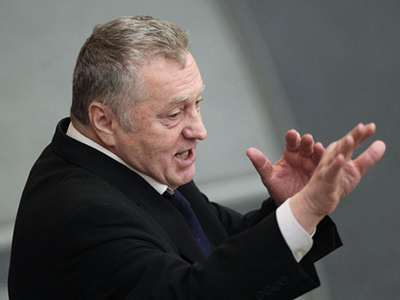 Zhirinovsky believes that the three parties not represented in the State Duma have little chance of clearing the 7-percent threshold to enter the next parliament. The Right Cause party, Yabloko and the Patriots of Russia each have no more than 1 percent of the voters’ support, he said.